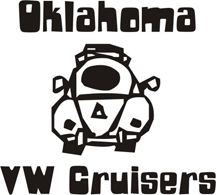 Oklahoma Vw Cruisers • Anyone alive? The server swaps scare people off? I'm still on the sunny side of the dirt. But your right it has been eerily quiet. Speaking of alive, missed you at the last few meetings 9 Fingers! yea, having to work for a living gets in the way of hobbies and fun. Im here.. I figured everyone disappeared after the shot box was gone. Is there no way to get it back? It was a quick way to discuss something rather then start an entire thread on it. I agree! Shout box was very convenient. I don't post any more because I have to log in every time so I just don't bother. the .tk link has been taking me to one of the old forums. I tried an old favorites link and here I am. .tk takes me here. i checked the settings, its to this .ca not the other .org. They are too busy to log in, only the shoutbox. What hap to the rustang? vdubjim wrote: They are too busy to log in, only the shoutbox. Bought a cooler ride..................... A T-Bucket ! Wanted one for years now. Finally found a body i liked and it was local too. Thought about buying the adapter plate for a air cooled to a TH350 transmission turned the "right" way as regulars would say. Either that or it will be injected on Alcohol.